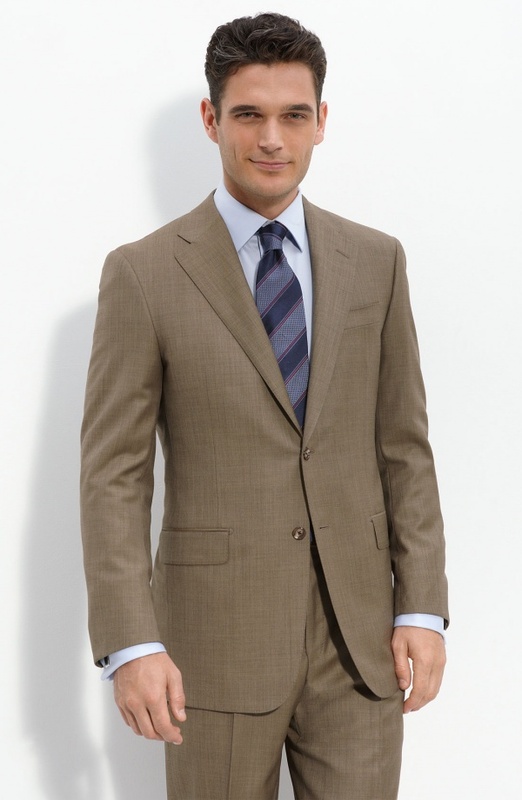 Hickey Freeman presents this gorgeous worsted wool suit in brown. A nice medium brown suit with traditional two button, notched lapel design, this is a great choice this spring as the season warms up. Available online now. This entry was posted in Suits and tagged Hickey Freeman, Suit. Bookmark the permalink.